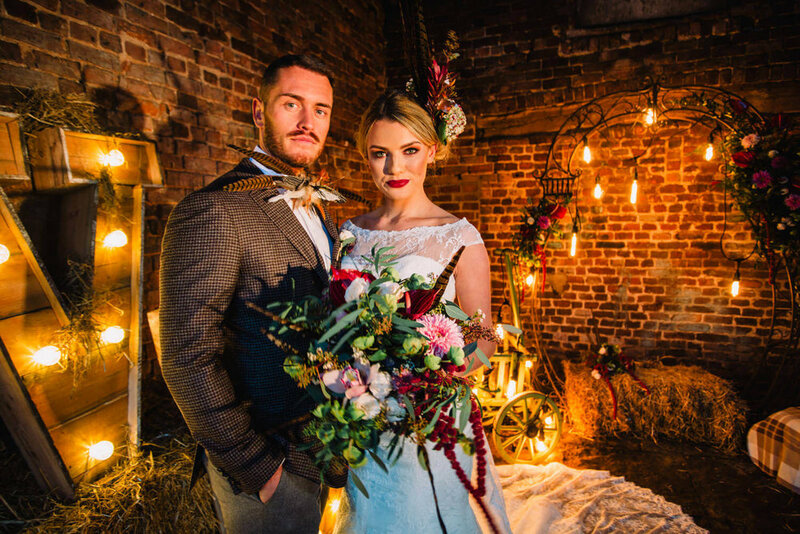 I recently had the privilege of working with a great group of wedding industry supplier friends for a shoot at Stock Farm Wedding Barn in Cheshire which was pretty awesome! Jacklyn over at the well known Precious Things Events Styling was setting up the shoot to promote the different seasons at the same wedding venue, so we had spring, summer, autumn and winter mini portrait sessions all in the space of a day! 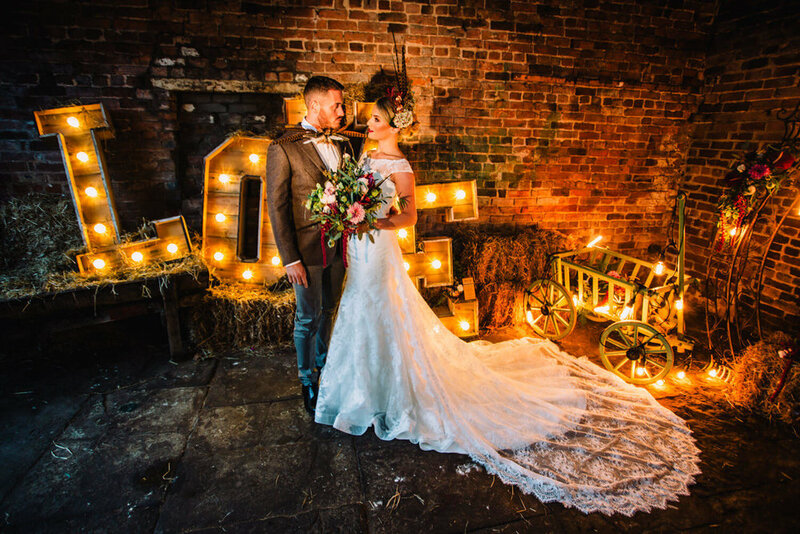 if anyone could pull this off it would be us! 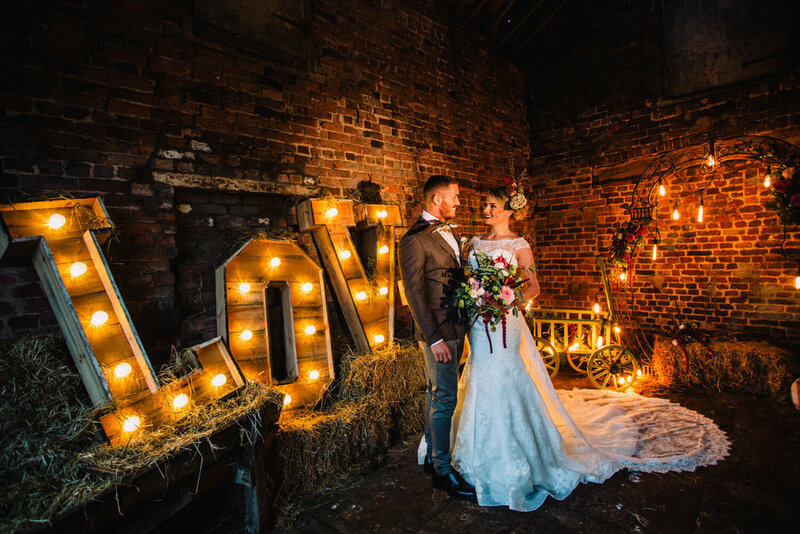 The brilliant Stacy over at Love Lights the Way provided us with some lovely festoon lights along with the light up lettering and backdrops for our various themes. 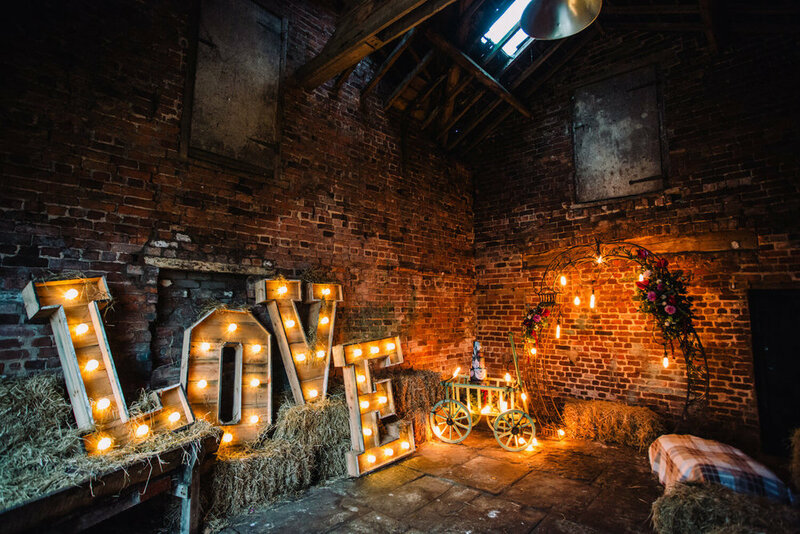 The work of Precious Things Events and Love Lights the Way completely transformed the barn into something completely special, which looked amazing for our autumn and winter shoots. 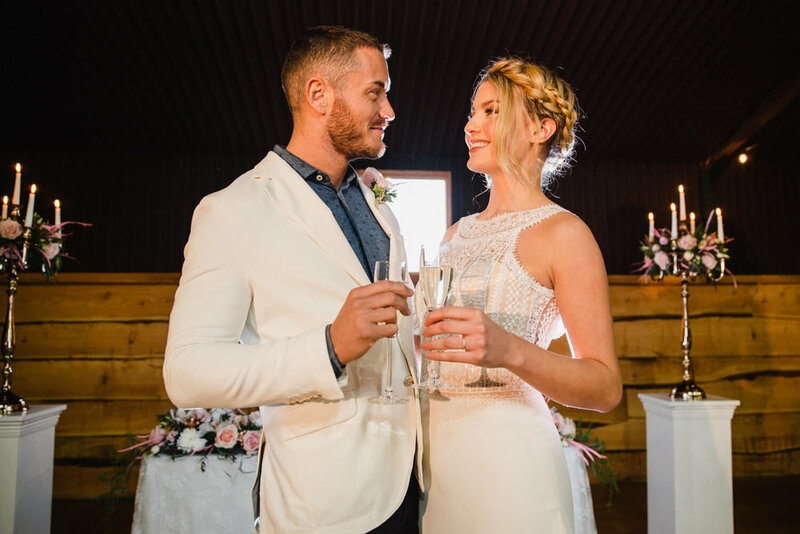 Our bride for the day was Hatty from Boss Model Management, Manchester who looked absolutely stunning in the different seasonal wedding dresses provided by 7th Heaven Bridalwear in Congleton. 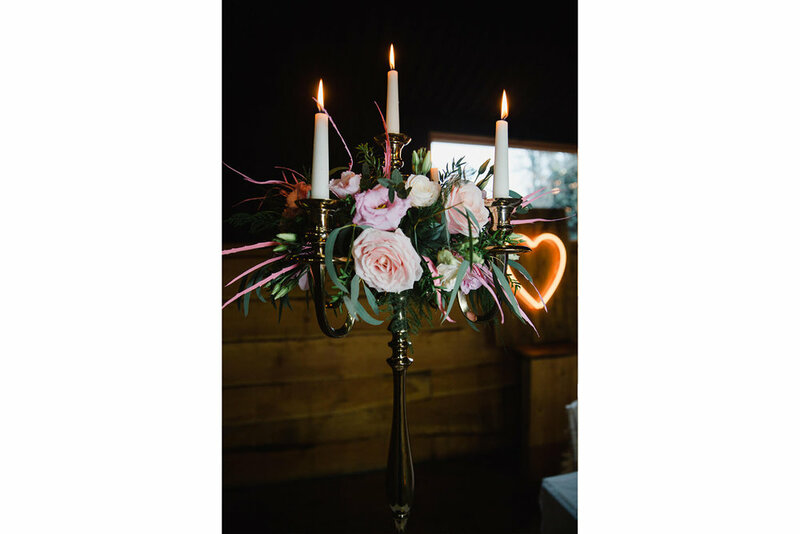 I've worked with Helen and 7th Heaven Bridal on many occasions now and could not recommend her and the 7th Heaven team more highly; Helen genuinely cares about her brides and will go the extra mile every time to make sure her brides have the best possible day the can with their wedding dresses. 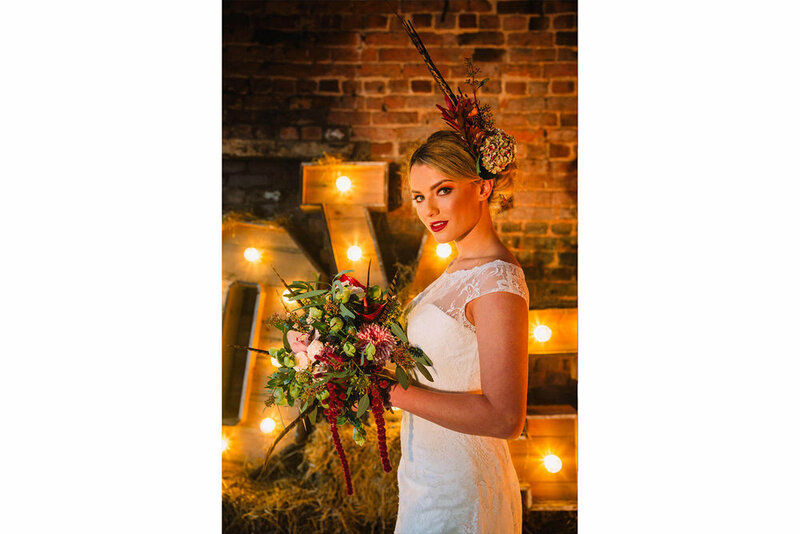 It was the first time I've had the chance to work with the amazing Gemma at Dollface make-up studio in Congleton. I've known Gemma for a while now but we seem to keep missing one another when it comes to weddings. Hopefully we'll get to work with each other more frequently in the future as her make-up work is gorgeous! 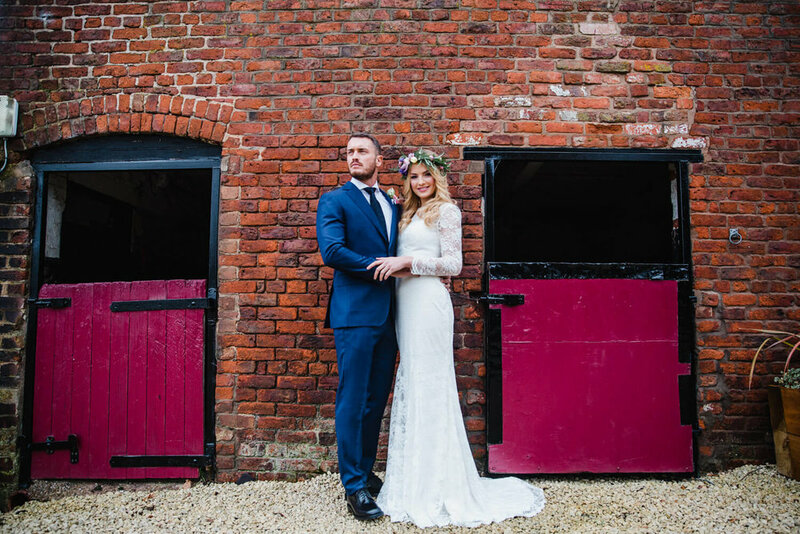 Our groom for the day was James who completely looked the part in his finely tailored suits provided by Stephen Muldoon Bespoke. 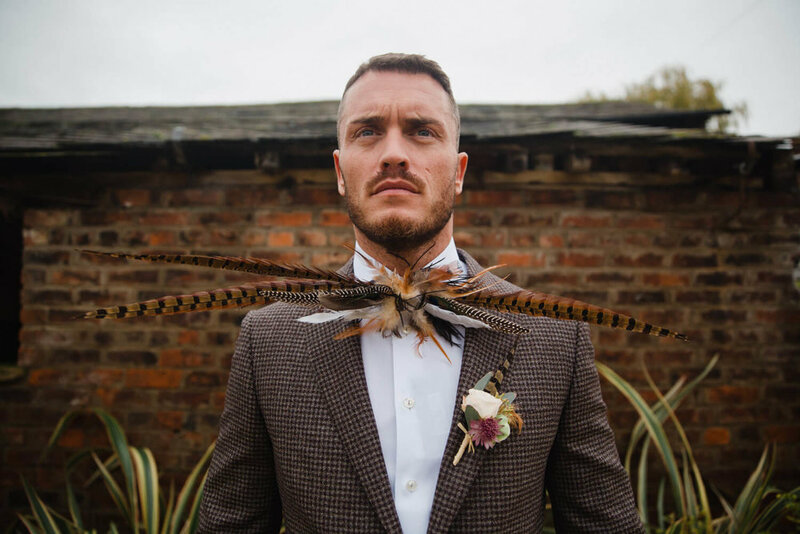 Stephen has a keen eye for quality and style and a long history in the luxury menswear business where the quality really shines through in his bespoke suits. 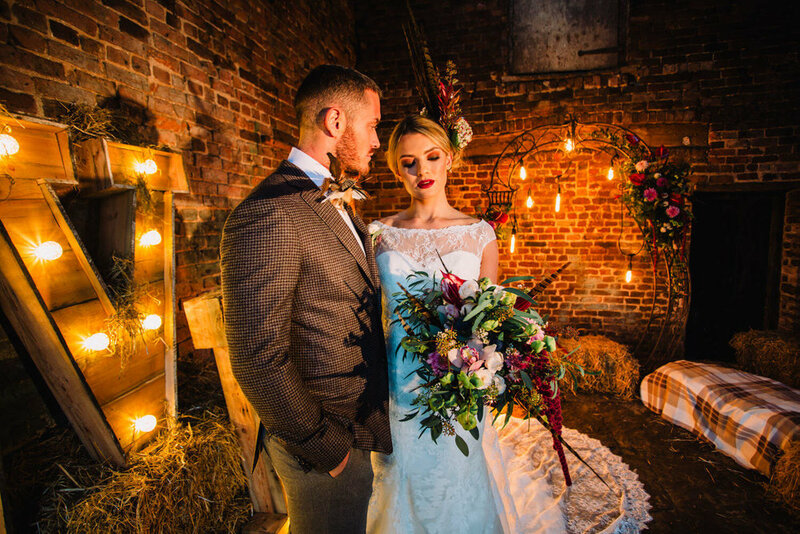 We were graced with the full array of wedding industry suppliers for our shoot and no wedding would be complete without wedding breakfast caterers! 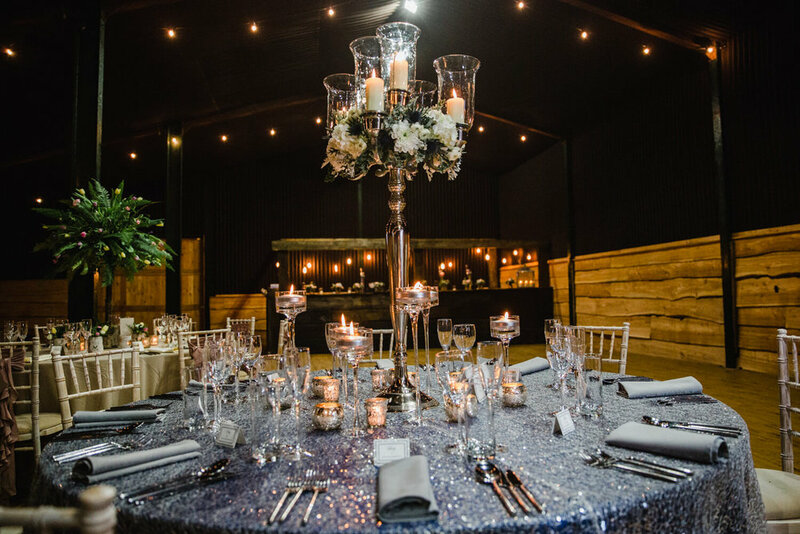 Top Table Weddings and Events are one of the top wedding caterers in the North West, serving some very well known, established wedding venues such as Sandhole Oak Barn, Styal Lodge and The Oak Tree of Peover to name a couple. 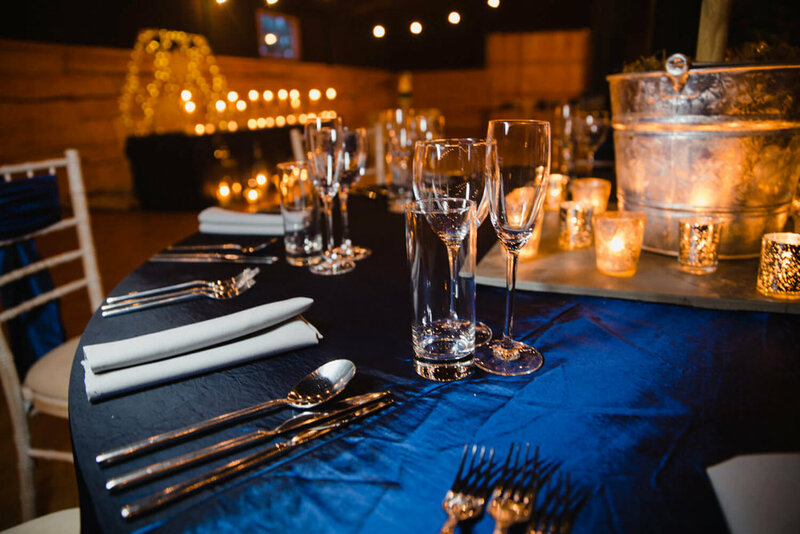 It was great to photograph Top Table's seasonal canapés and to sample some of their amazing food! 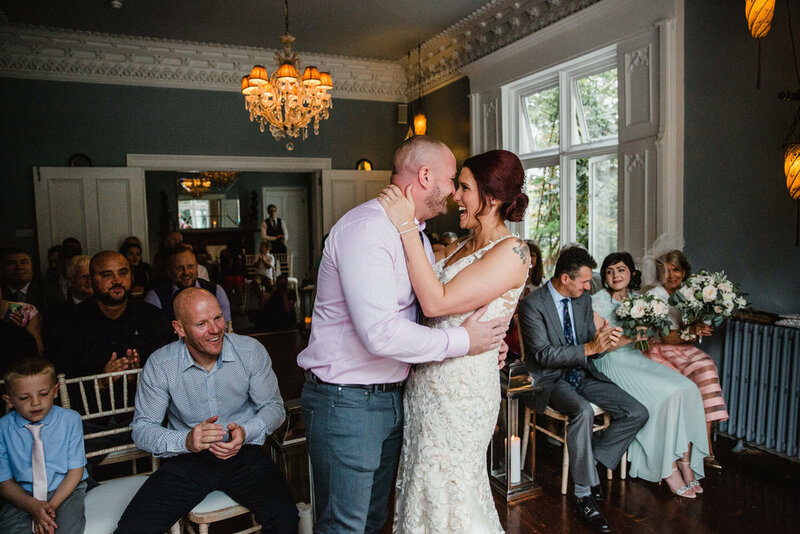 On the subject of all things food; we wouldn't have a wedding without cake! 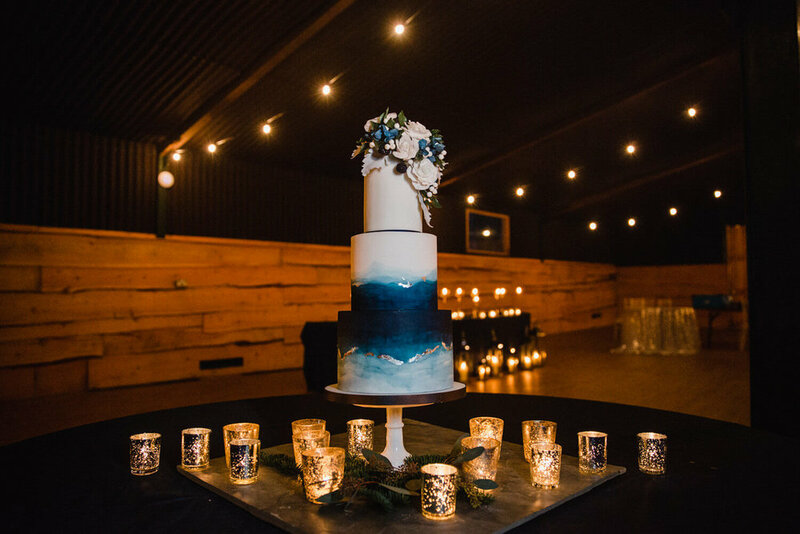 Fortunately for us Rachel at Marie Antoinette Cakes provided us with an assortment of seasonal wedding cakes to photograph. 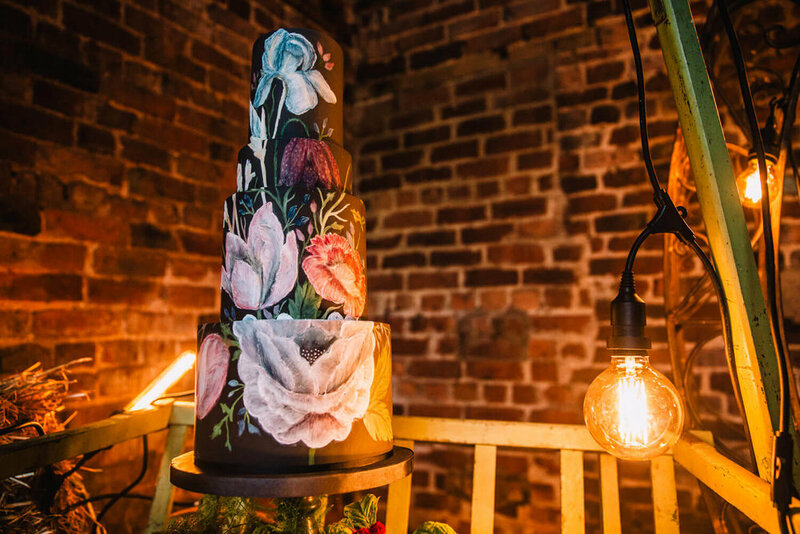 A lot of planning and attention to detail goes into Rachel's cakes which I've experienced first hand working alongside Rachel for Lizzie and Kyle's wedding at Gorton Monastery where Rachel created an art deco masterpiece for their day. 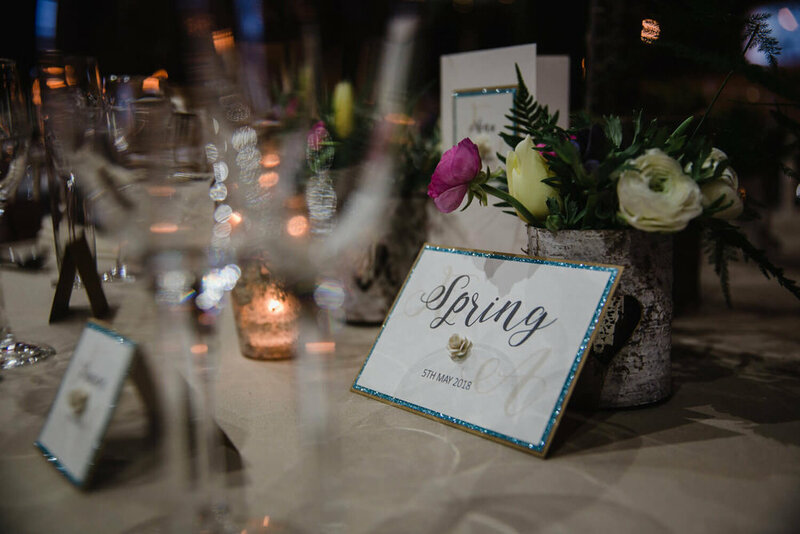 To complete the supplier line up we also had Lisa from Inspired by Lisa providing us with wedding stationary and a bespoke table plan which complimented our seasonal shoot. 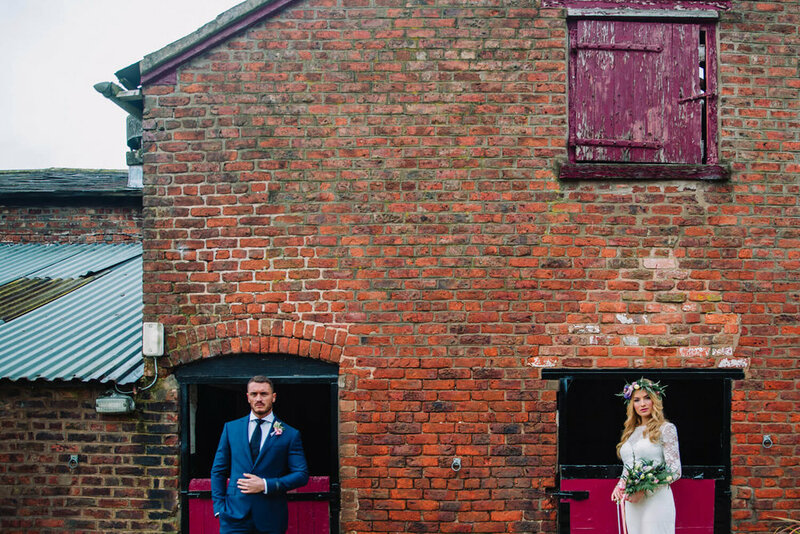 I think the only thing missing would have been confetti and the signing of a register (oh and maybe a couple of farm animals and random livestock) to make this an actual farm wedding!